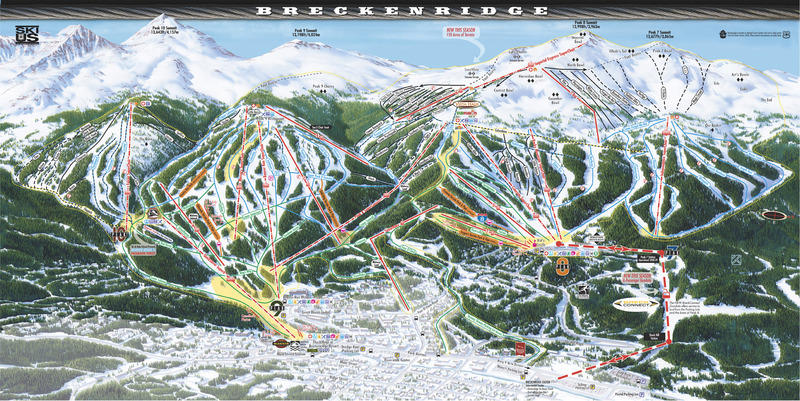 Whenever we fly into Denver to ski Vail and Summit County we seem to end up at Breckenridge for a day. We always have a lot of fun there on the wide groomers and above tree-line terrain at the top. 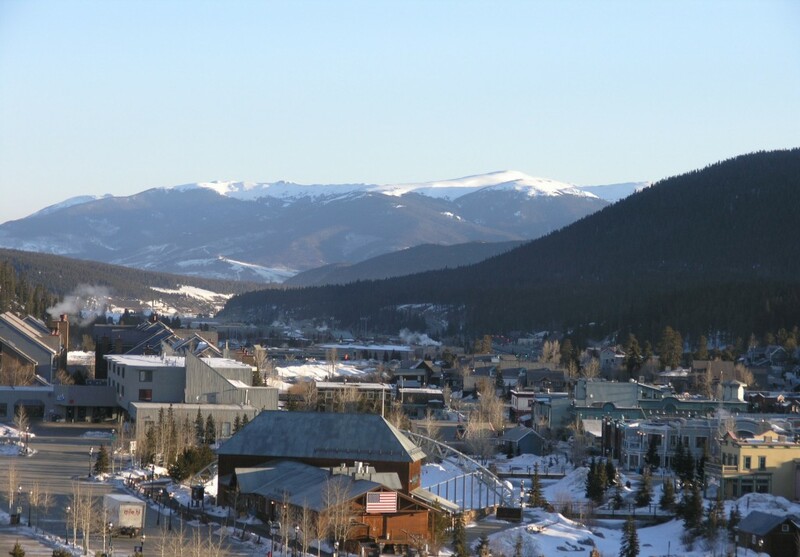 Breckenridge is the 2nd most visited ski resort in the United States (Vail is #1), so it’s certainly not a hidden gem, but even with the crowds we have thoroughly enjoyed our days there. One of the reasons is the town with lots of authentic Victorian buildings from when Breckenridge was a mining center. The town is at an elevation 9,700 feet, and the slopes rise above that, so this is one of the highest average altitude resorts we have skied. Spending your day at an average of 11,500 ft can be difficult when you live at sea level like we do! The terrain is spread across 4 peaks with good separation between them. We usually start on Peak 10 and work our way north to Peak 7 at the end of the day. Most of our time is usually spent at the top of Peak 8 on the Imperial Express and T-bar. The T-bar is our favorite. It’s ironic that a huge resort with 31 lifts has some of the best terrain served by a T-bar, but it sort of makes sense for them to keep it as a T-bar because it is windy up there and the T-bar tends to weed out a lot of people who are not comfortable riding that kind of lift, leaving the terrain less crowded. Chair 6 is another ancient lift that we seem drawn to because of the terrain. We usually hike up to the summit at 13,000 feet from the top of the Imperial Express. 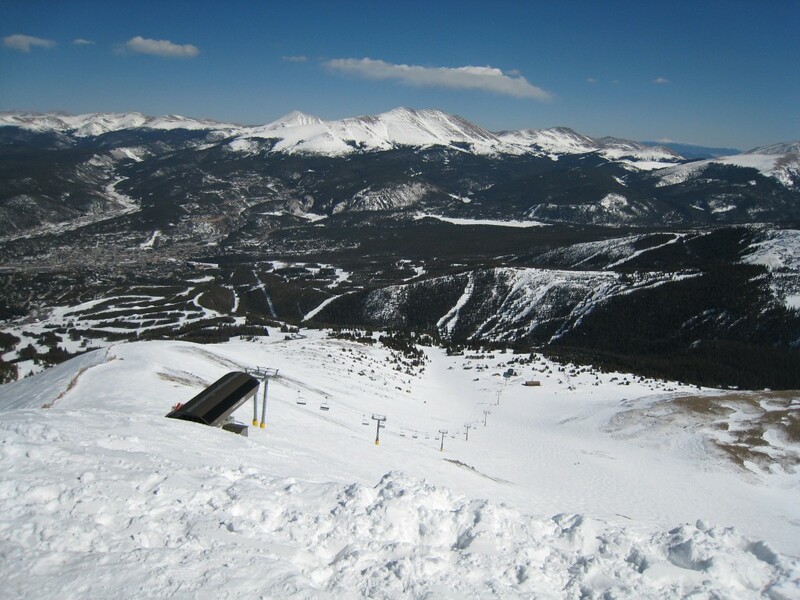 From there you can see Copper Mountain to the west and then ski down the Lake Chutes — a vast above-treeline area which is not actually that steep or difficult. The huge numbers of tourists here are drawn by the wide groomers and good snow that comes with the high altitude, as well as the exceptional town. The terrain pods are nicely separated, and the runs are fairly consistent and not usually broken by a lot of intersections and roads. 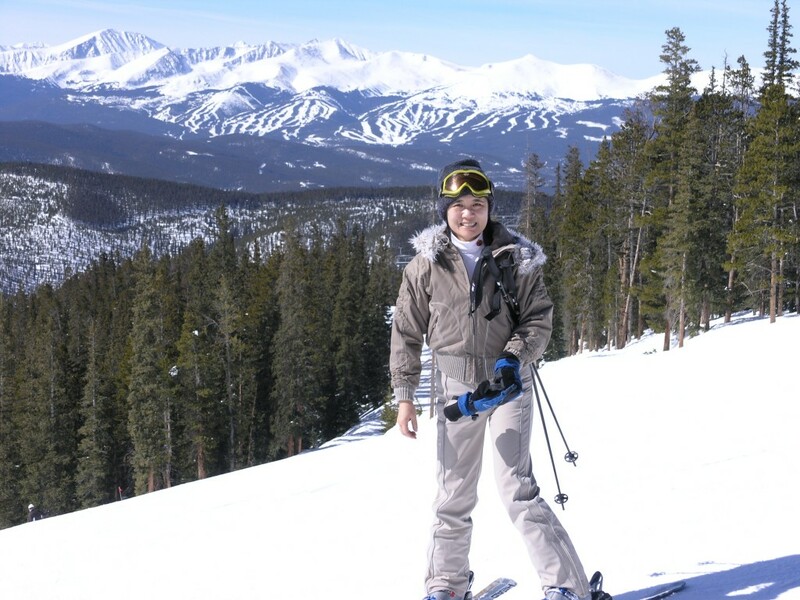 The slopes are easily accessed by almost any lodging property in the town from several base areas. Of course being the 2nd most popular ski resort in the United States means there are crowds. The base of Peak 8 is crazy with 2 high-speed lifts fed by one massive maze. The wind and cold temperatures can be a problem due to the high altitude. One trip we had featured 50 mph winds and an air temp of about 12 degrees F, which was about as cold as we can take. I still remember everyone jammed into the hut at the top of Peak 7 during a particularly nasty part of the storm. The hike to the top of Peak 8 is short and worth the view and run down. After skiing, get some Crepes at the street vendor on Main St. It takes a long time, but is well worth it and there is a fire pit that always seems to be going next to it. We can’t wait to go back the next time we are in Summit County or Vail.